And now there is documented Minimata Disease in songbirds. Mercury is a toxic heavy metal that can cause obvious physiological and reproductive problems in animals. Very little is known, however, about its subtle behavioral effects. 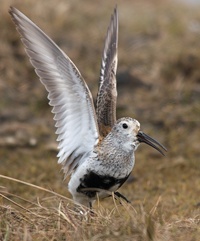 We examined whether birds that inhabited mercury-contaminated sites exhibited differences in singing behavior compared with birds at uncontaminated reference sites nearby. We recorded the songs of 3 oscines, the Carolina Wren (Thryothorus ludovicianus), House Wren (Troglodytes aedon), and Song Sparrow (Melospiza melodia), and 1 suboscine, the Eastern Phoebe (Sayornis phoebe). Spectrographic analysis revealed that songs of oscines living on contaminated sites contained a lower diversity of note types and were sung at lower tonal frequencies than songs of birds on reference sites. Additionally, both species of wren tended to sing shorter songs. 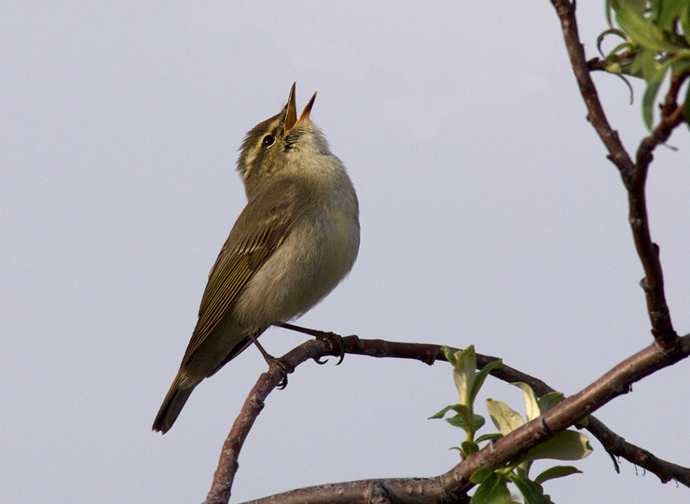 By contrast, the songs of Eastern Phoebes did not differ between contaminated and reference sites, suggesting that mercury may affect singing behavior only in species that learn their songs. Such alterations in song could have important implications for the fitness of songbirds in polluted areas. Our results highlight the importance of considering behaviors in evaluations of contaminant effects. This is very strong evidence that relatively low levels of methylmercury poisoning in songbirds impairs their ability to learn and perform songs. By contrast, flycatchers, whose singing is innate and not learned, don’t show impaired song performance. Microscopic examination of mercury-poisoned brains of songbirds shows that same damage seen in the congenitally poisoned children of Minimata. Human activities have greatly increased the ambient levels of mercury in our poor, abused planet. In the case of the South Fork, the mercury traces to an abandoned DuPont rayon factory which used mercuric sulphate in its manufacturing process. The methylmercury in the river mud bioaccumulates. Small insects living in the mud have low levels; spiders that eat those insects have higher levels. Birds that eat the spiders have still higher levels. Small invertebrates in the water and river bottom have low levels of mercury; small fish that eat them have higher levels. Kingfishers and Osreys that eat the fish have still higher levels. And so the songbirds are poisoned, and lose their ability to sing. Silent Spring indeed. While the point sources of mercury contamination like the factory in Minimata and the rayon plant in Virginia are dramatic examples, much more worrisome are the increasing levels of global mercury contamination on a world wide scale from the burning of coal. The point sources can be remediated, although it is a difficult, expensive and time-consumning process. The world-scale contamination from mercury injected into the atmosphere by coal-fired plants is much more difficult to control. The United States alone accounts from some 48 tons of mercury emissions; China, in 1999 (the last year fro which WC can find data) accounted for 200 tons of mercury emissions; doubtlessly much more now. Yes, there is technology to reduce the amounts of mercury emissions – principally activated charcoal – but it is expensive, imperfect and creates a massive waste-disposal problem of its own. The best way to prevent coal-fired power plants from injecting tons of mercury into the atmosphere is to stop burning coal. Because, once again, songbirds are serving as the canaries in the mine. We breathe the same air. Our foods come from the same sources. Minimata Disease in songbirds. Are we going to pay attention?